Douglas Clark Hollmann is a graduate of Duke University (B.A.) and Columbia Law School in New York City. He was the Administrative Hearing Officer for Anne Arundel County from 2009 to 2018 during which he handled over 3,000 applications for rezonings, special exceptions and variances to the zoning and critical area law. A former Assistant District Attorney in New York and federal prosecutor in the United States Department of Justice, he has tried cases in state and federal courts in New York, Pennsylvania, Delaware, Maryland, Washington, D.C., Virginia, West Virginia, Michigan, Florida, Oklahoma, and California. He is a member of the New York, Maryland, and District of Columbia bars. Doug is an avid sailor and private pilot. He built a 56-foot sailboat from scratch and lived on it for four years. 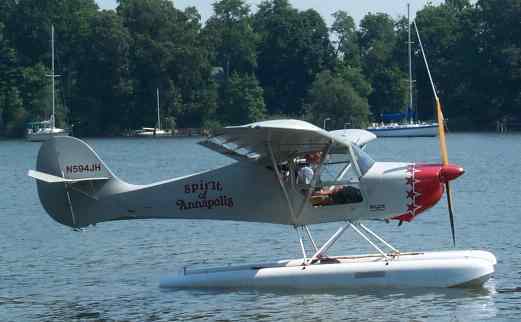 The picture at the top of this page is Doug's Avid Mark IV seaplane. A Hanriot HD.2 on floats (the first US Navy fighter based in Dunkirk, France, during the First World War) is his next project.